A fall in China’s coal consumption for two years in a row has raised hopes that the country has already experienced a peak in demand for coal, the major cause of smog and climate change. Consumption of coal fell 3.7% year-on-year in 2015, following a 2.9% drop in in 2014, the first year this century in which China's coal consumption had declined. 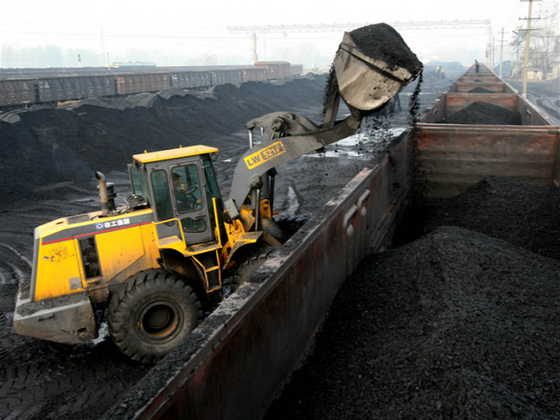 Figures from China’s National Bureau of Statistics released on March 1 suggest that the decline in coal consumption is accelerating. 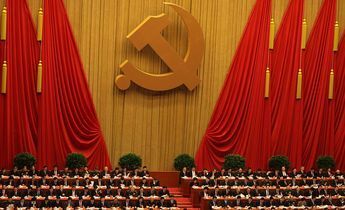 Yang Fuqiang, senior advisor on climate, energy and the environment for the National Resources Defense Council (NDRC), predicts that China’s CO2 emissions peaked in 2014 – 16 years ahead of the country’s target deadline of 2030. Yang added that a further big fall in coal demand is likely this year as China closes some of its surplus capacity in heavy industries, which account for around half of China’s coal use. Coal is still China’s main source of energy, accounting for 64% of all consumption, although the addition of new renewable capacity grew last year with a 73.7% increase in the amount of grid-connected solar energy. Meanwhile, the percentage of natural gas and non-fossil sources of energy - such as hydropower, nuclear and wind - in the energy mix increased to 17.9% from 17% in 2014. 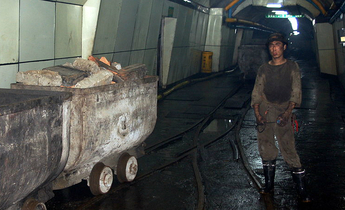 However, coal-fired generation capacity increased by almost 8%, suggesting that there is a mismatch between some provinces (which are now responsible for issuing permits for new plants) and the central government, which has acknowledged the problem of overcapacity in polluting industries. 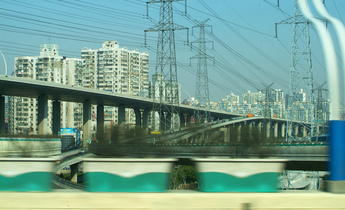 In addition, the transition to renewable energy has been complicated by problems in connecting Chinese renewable energy to the electricity grids. Although renewable capacity increased sharply in 2015, low-carbon sources of electricity were used less. 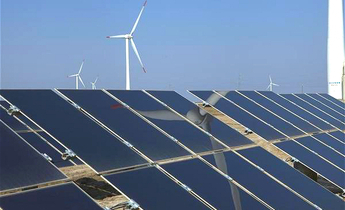 “There has been a clear fall in the hours of use [of renewable energy] and profitability is worsening,” said Lin Boqiang, director of the Collaborative Innovation Centre at Xiamen University’s China Institute for Studies in Energy Policy. ‘Wasted’ wind energy is often the result of how various sources feed the grid. In China, coal-fired power plants get preferential access to China’s state grid through a tariff system that critics say is in urgent need of reform. In addition, a proportionately high level of China’s wind capacity is wasted because the system cannot cope when the wind blows particularly strong in some areas, or when there are big fluctuations in demand, promoting temporary shutdowns or ‘curtailments’. Meanwhile, it remains difficult to predict the future distribution of China’s energy mix. Lin emphasised that a return to fast-paced economic growth would see demand for energy rise and that may prompt an increase in demand for coal. Even if total energy consumption remains static, a 10% increase in clean energy sources can only substitute 1% of coal consumption, he added. In 2015, China’s overall electricity consumption rose 0.9%, the smallest increase since 1998. Falls were seen in traditional measures of energy consumption, such as energy consumed per tonne of steel or concrete produced, or tonnes of standard coal consumed per kilowatt hour of thermal power generation. This indicates a general increase in energy efficiency. 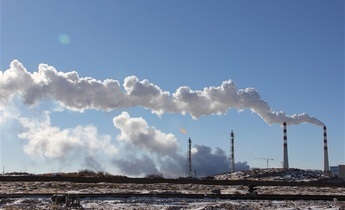 However, environmental experts are concerned that a sharp economic slowdown could increase the pressure on government to introduce economic stimulus for energy-intensive industries. This in turn, would undermine efforts to move to a low carbon pathway. “We’re currently very worried that energy-related sectors may, because of our efforts to clean up the environment and reduce carbon emissions drag down GDP growth,” said Jiang Kejuan, a researcher at the NDRC’s Energy Research Institute. “And that’s why speeding up changes in the mode of economic growth during the 12th Five-Year Plan, especially structural reforms at the supply side [i.e. curbing overproduction in sectors such as steel and cement], helped find that balance,” explained Hu. Li Junfeng, director of the National Centre for Climate Change Strategy and International Cooperation, told chinadialogue that if GDP growth between 2016 and 2021 is 6.5%, then a carbon consumption rate of 1%-2% annually would yield a "sustainable" model of energy use. 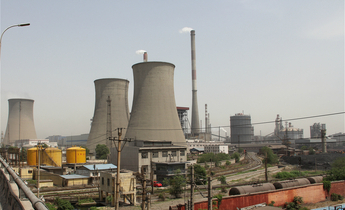 Will China 'export' GHG emissions through overseas investment? INTERVIEW - How should China decarbonise?